D. Berghmans asked: what is the need to deplete the fuel tanks during the COGEX experiment? Tilmans responded that today the pressure is at 30 bars and ESA needs to adhere to end of life de-orbiting procedures. If there is fuel on board, it needs to be ejected to avoid possible explosions. As the TX1 antenna is no longer available, we need to eject the material in case the TX2 antenna expires. Approximately 14 burns are required to reduce the tanks to 5 bars. Then with the pressure below 5 bars, two final burns will have to be conducted as an ESA requirement. There are concerns that such operations require lots of telemetry and generate clouds of particles that may orbit with the satellite for a while and possibly contaminate the instruments. D.B. Seaton asked if we could try a short burn to see if it influences the instruments; Tilmans said this is an option. Currently 2 burns per week on Tuesday and Thursday have been decided on. During each burn, the satellite payload has to be turned off and the satellite in flight mode. The LYRA cover needs to be closed during, and for a period after each burn. For SWAP, a bakeout could maybe help to remove contaminants. Tilmans discussed that we do not need to do the 14 burns in 7 weeks, and we can try something small first to measure how much it effects the instruments. D. Berghmans commented that the bakeout does not necessarily help reduce SWAP contaminants, as it only heats the detector and such contaminates would be on the filter, not the detector. Therefore, there may be a risk for SWAP too. D.B. Seaton said that we will wait for a complete report and ESA/P2SC/REDU and then we can discuss the best way to proceed. D.B. Seaton asked about 'close approaches' and if it would be a good idea to keep some fuel to do a burn to avoid a collision. Tilmans responded that the experimental propulsion system isn't strong enough to do active collision avoidance. D. Berghmans asked about an incident that happened earlier in the mission, where one of the LYRA doors was left open for several days and why you only see significant degradation in one of the channels. Dominique highlighted that we do see degradation in the other channels, but to a lesser extent. It was discussed how PROBA2 tools are used internally by the forecasting team, and in certain forecasting tools. In particular, the daily SWAP images and movies from the PROBA2 SSA page are monitored. Currently, SWAP images are used as the basis for the SOTERIA feature-tracking page. However, it is noted that any EUV images can be used as the basis for this program. 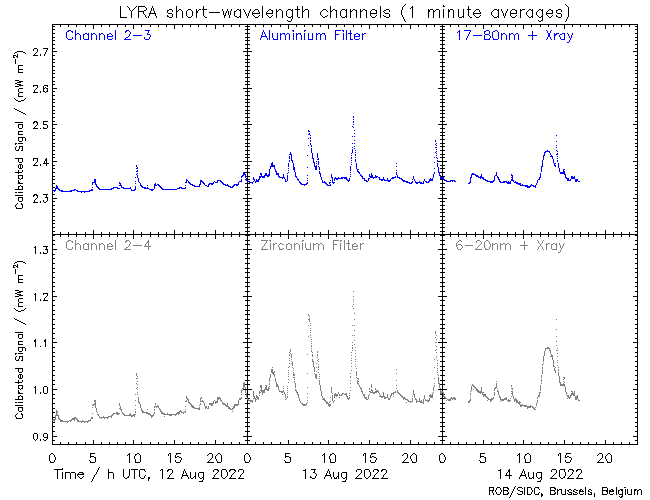 There was a discussion on how LYRA flare detections can be better used by the space weather operators and forecaster operations systems and databases. Also, how different types of events can be distinguished. For specific precursor services the data usage was established ad hoc. For the upcoming ROB SSA project this will need to be formalized. 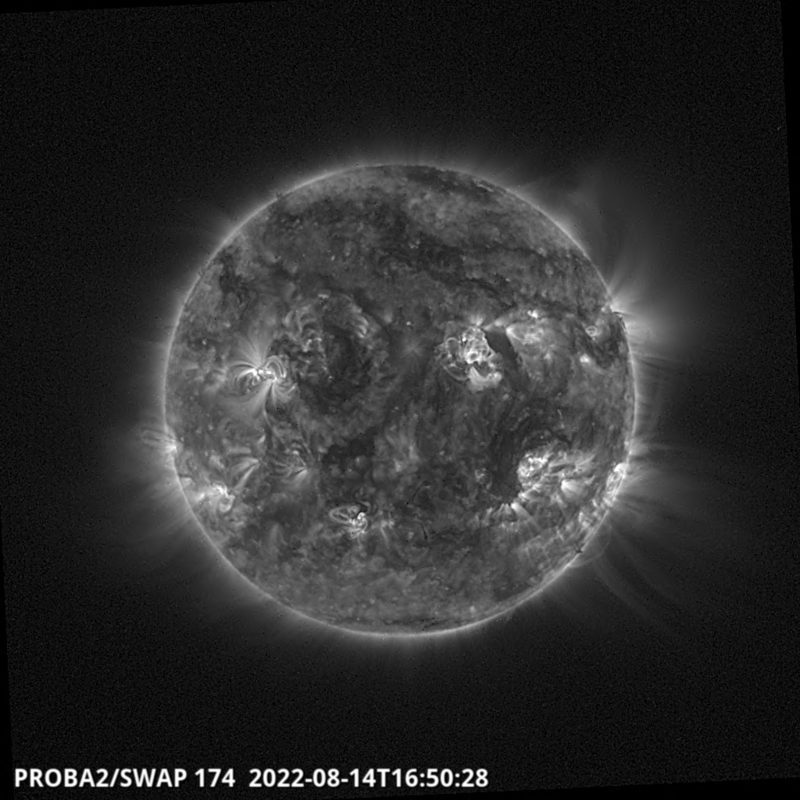 The SSA team will need specify which products will be used; Such as SWAP images and which file format, data level and media level should be produced; with the LYRA data they require timeline graphs, the Space Weather team would also like a link to the actual data files, and also a GOES proxy. On the subject of preferred file format, the SSA team require a file format that is immediate (no pipeline delays), easy to open and can be used within web pages. The data does not need to be science quality. 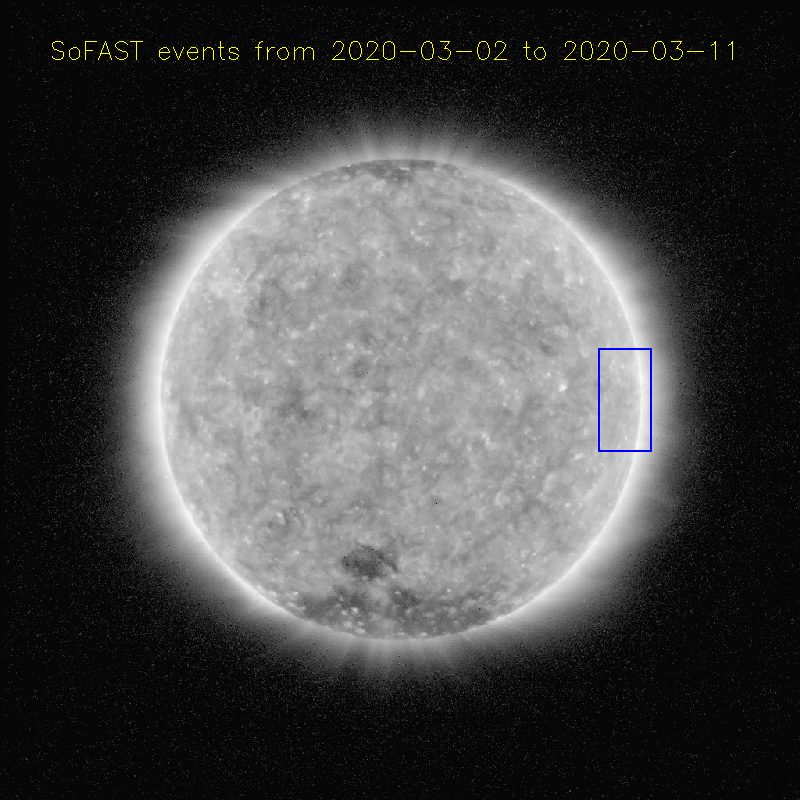 The Space weather team currently does not see ways of using SWAPs extended field of view, however, as Active Regions (AR) approach the East limb from behind, the Radial extension of the region may provide a precursor of the magnitude and complexity. A decision was made to form a working team to determine all of the specifics of the data products required by the SSA team. A provisional internal working group with the instrument PIs, M. J. West, J. Andries, D. Berghmans and A. Zhukov was agreed upon. J. Luntama (the PROBA2 Mission Manager) should also be informed. An internal ROB meeting outside of the SWT will be arranged to decide the data products that will be useful for the SSA program. A follow up report should be submitted at the next SWT meeting. Action item: D.B. Seaton to start a discussion, email, about the role of PROBA2 in SSA. The PROBA2 team currently has good collaborations with other instrument teams, but often, collaborative work doesn’t lead to publications, The PROBA2 team needs to work out how to turn those collaborations into actual scientific papers. Do we need to encourage the collaborators? Or, do we need to lead the publications ourselves? Can we take-over some of the external research even if the collaborators don't intend to publish. This could be difficult due to expertise and resources. With regards to the GI program it was discussed if we could make one of the selection criteria concerning the combination of PROBA2 data with external instruments. As the selection process is currently set up to concentrate on the uniqueness of the PROBA2 data. One solution would be to include both options in the announcement, specifically saying that you are allowed to include other data sources in the solicitation. However, when reviewing the proposals care has to be taken that PROBA2 does not become a footnote. It might be worth having a meeting with ESA to discuss the wording of the GI call. We should contact all past GIs and push them to publish or revisit their previous work. Within this work we can also include other papers like lessons learned instead of instrument papers. Action item: M. J. West to set up a Google Doc to record ideas for the topical issue. Action item: D. B. Seaton to contact Solar Physics. D.B. Seaton has been looking at old EIT observations, and you see lots of the same features observed with SWAP. A potential avenue of research would be to look at trends that pass through EIT and SWAP data. D.B. Seaton has also been comparing the SWAP signal to EVE in order to check degradation. This work may also be extended to EIT. M.J. West, C. S. Young or the SPOCA team may be consulted to understand the gaps in EIT data. Other potential collaborations include working with the IRIS team. We should perform campaigns and combine with LYRA/GOES/RHESSI. There is also a web form where you can propose a campaign even if you aren't an operator. The housekeeping setup should be added. This also deserves an entry in the topical issue document. The PROBA2 legacy is not just concerned with what have learned and how it can be used in future missions, but also how we effectively communicate to the teams on future missions and share the knowledge. There are several avenues to disseminate the data, such as forming a consultancy group, publish a paper or disseminate the information through a series of reports. 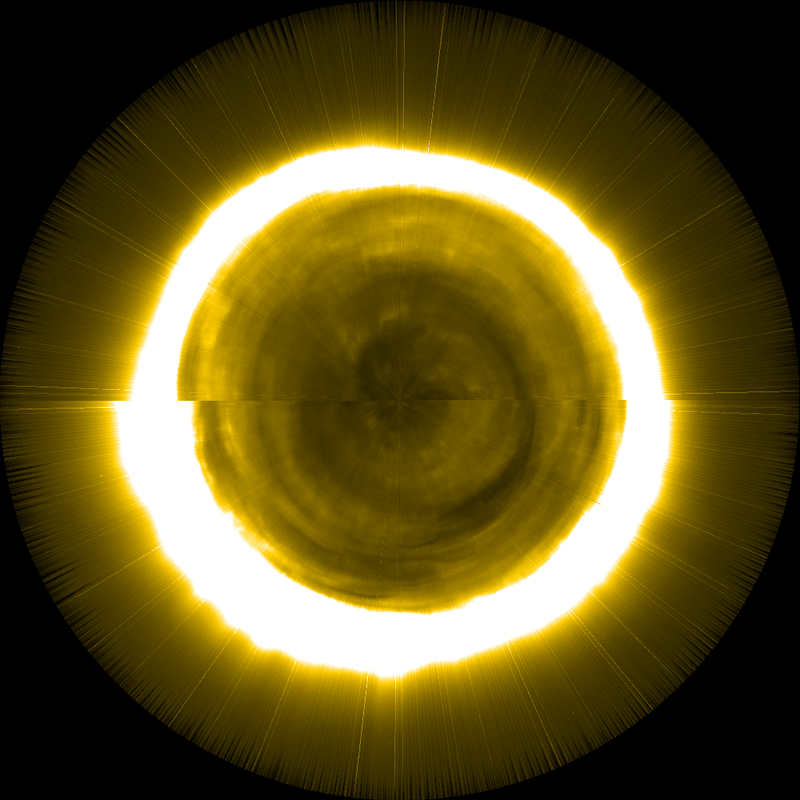 An article in the Solar Physics journal maybe the best option to write up these results. There are several conferences about small and microsats, this might be a good place to share some of the lessons learned. We could also write an official report to ESA. The setup of the SWAP pipeline as a generic start for fits creator data pipelines. Maybe we can write a generic data pipeline, so people can use their own subroutines etc. The flexible commanding system, which allows operators to command from anywhere. The operator interface could be used as a generic starting point. The team is small and performs well, often outside teams comment on the size of the team. These efficiencies should be thought about and documented. The fits image pipeline, there is a lot of reusability for future missions. Other information that might be useful to pass on is with regards to setting up and distributing the data, for example how to get into VSO. The structure of the header file, and how it was devised. The SWAP header files are somewhat reveered, and should be documented. Should contact Joe Hoercle at GSFC. The onboard prioritization system. This is currently used with many missions right now. It could be a section of a paper. This is a hard problem! Right now we have gotten pretty good at it by trial and error, and the expertise should be passed on. We can also make recommendations on how to make interfaces, we might even make an open source repository. We could put a paper in the topical issue as well. This might be a good task for the person who is writing the pipeline upgrade. We could add keywords from time series, that they already starting working on in LYRA. A design document could be useful for documenting the pipeline, especially about the choices made and why (this technology was chosen for that reason). they are doing some of this as they are building the solar orbiter pipeline. ​It may be important to set up an internal evaluation exercise to come up with some of these answers. There should be efficiency framework on the web for big companies, etc, to evaluate what is working well. This is not a small task. Input would be needed from the people who where involved in the mission from the beginning. We should evaluate which tools could be generic and which aren't. Such as the LMAT, which is unique and very useful (at least conceptually). 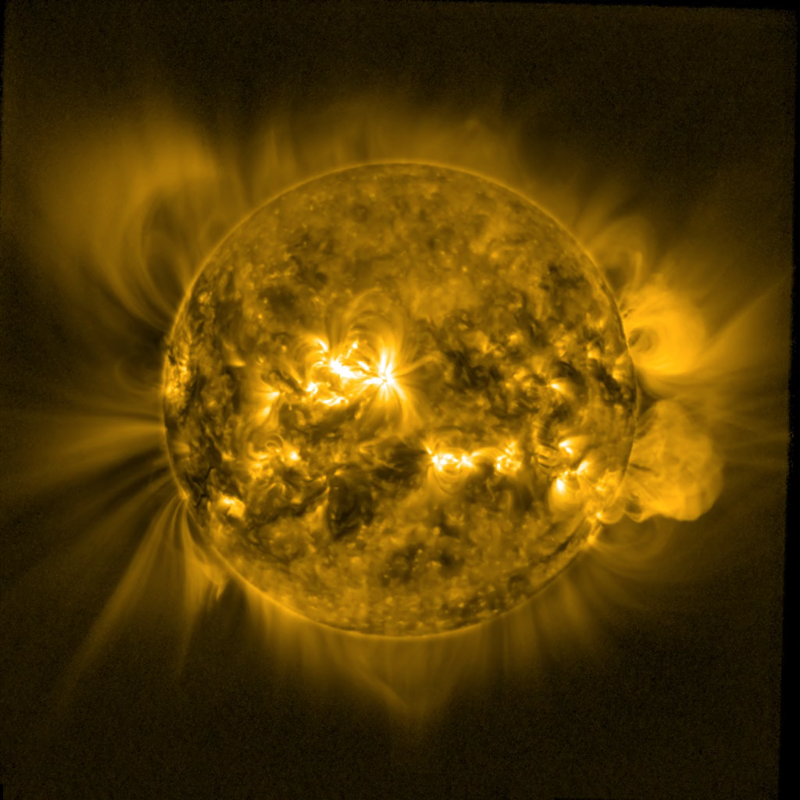 The LMAT is currently being used in the space weather forecasting infrastructure. PROBA2 should get involved too. We have a big recourse of knowledge, but its slowly being dispersed, so now is the time to look at documenting and passing on the knowledge. The PROBA2 team should also consult with other highly successful teams that have more resources. The next step is to distribute emails to people who are interested in working on this.